This British four-stroke trials iron came from a period when two-strokes – predominantly Spanish – ruled the roost. Reg May in action on the 250cc Comerfords Trophy, at the November 1969 Perce Simon Trial. Those of us who were around before the British motorcycle industry imploded in the mid-1960s, will need little reminding of the big-name London area dealers. Top of the list was Pride and Clarke, plus Claude Rye, Glanfield Lawrence, Elite Motors and umpteen more. And then there was Comerfords of Thames Ditton. Comerfords was just as important as the rest, but was subtly different because of its focus on off-road competition machines. Internationally, Comerfords would actually have been even better known than the others, as its workshop was where the USA team headed to prepare the ISDT bikes supplied by Triumph. And later on, Comerfords supported star American trials rider Bernie Schreiber. In the late 1960s things were changing in the trials world. The era of the heavyweight AMC, Ariel, BSA and Norton machines was all but forgotten, and even the heyday of Greeves, Cotton, DOT et al was drawing to a close, with Villiers engines no longer available and the Spanish armada well under way. 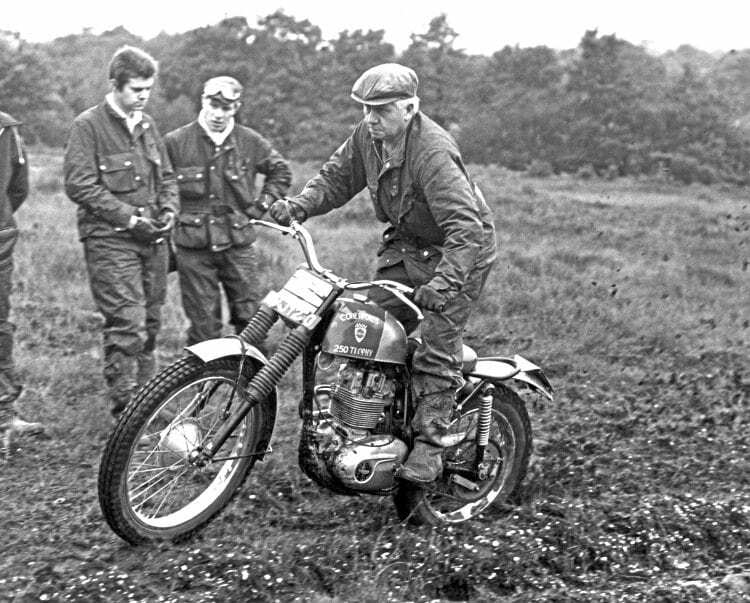 Comerfords reportedly considered making triallers based on the BSA Bantam Bushman but decided it would be uneconomic, and so it eventually succumbed to the continental onslaught and took over Bultaco importation from the Rickman brothers in the early 1970s.